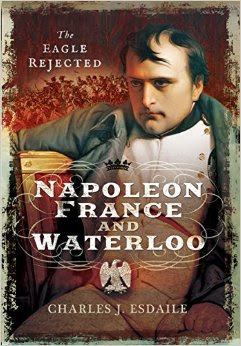 So great is the weight of reading on the subject of the Waterloo campaign that it might be thought there is nothing left to say about it, and from the military viewpoint, this is very much the case. But one critical aspect of the story has gone all but untold - the French home front. Little has been written about the topic in English, and few works on Napoleon or Revolutionary and Napoleonic France pay it much attention. It is this conspicuous gap in the literature that Charles Esdaile explores in this erudite and absorbing study. Drawing on the vivid, revealing material that is available in the French archives, in the writings of soldiers who fought in France in 1814 and 1815 and in the memoirs of civilians who witnessed the fall of Napoleon or the Hundred Days, he gives us a fascinating new insight into the military and domestic context of the Waterloo campaign, the Napoleonic legend and the wider situation across Europe.